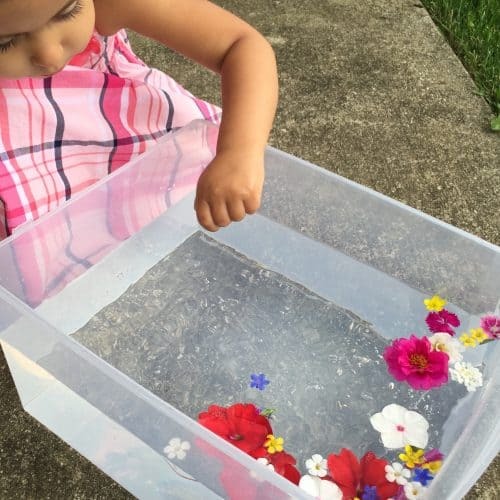 This simple flower sensory bin is perfect for summer play time. 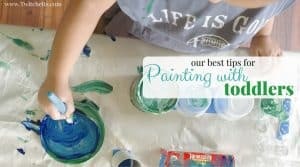 These 3 ways to play will give your kiddo hours of entertainment! 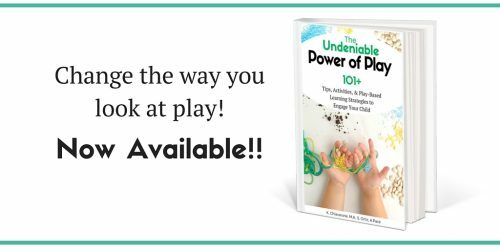 I was playing around with ideas of what to do for this week’s prompt for the Undeniable Power of Play IG challenge. 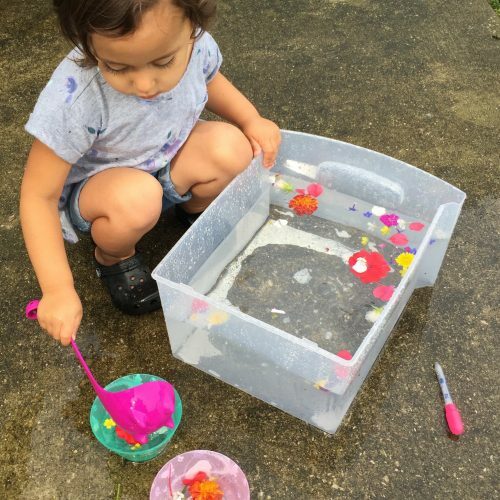 I was to use a plastic tub in some sort of way that inspired some play-based learning. I love when a simple play idea develops into much more than planned. When we started this activity we were just going to grab a bunch of flowers and float them on top of the water. V turned it into so much more! Big spoons, small spoons, bowls, and cups. 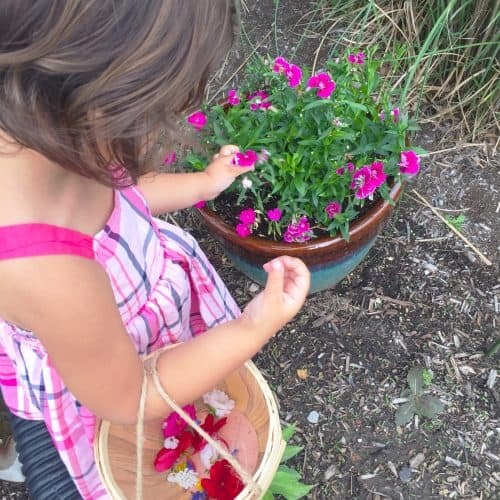 Walk around with your little one and your basket to collect some flowers. Try to find all different shapes and sizes. 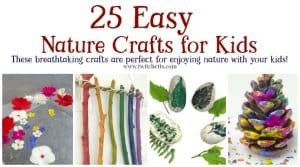 Grab them from your landscaping, look for dandelions, or even look really close in your grass. A lot of weeds have cute little flowers on them. Just steer clear of the neighbor’s yard, unless you ask first. 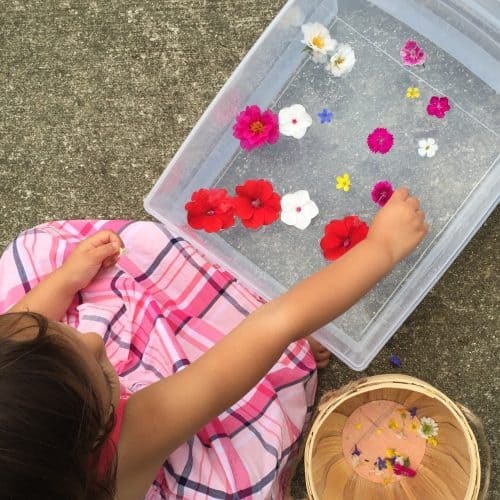 Fill your tub with water ask your little one, “Do you think the flowers will float?” Add in one flower (spoiler alert they all will). Let them add all of the flowers one at a time. This is where V got creative. She started mixing them around. She flipped some of them over to see if they would still float. They stayed afloat! After a few minutes of trial and error, she decided to take the pedals off to see if they would sink! 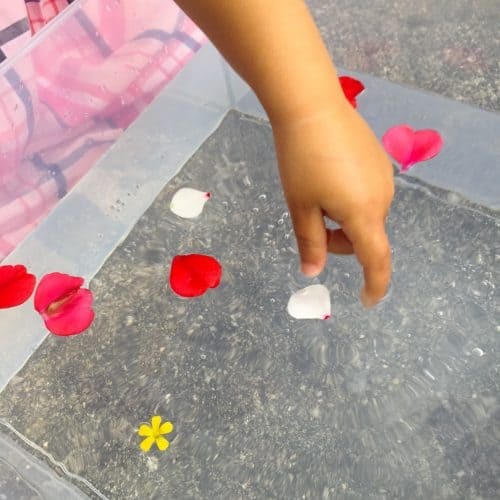 Once V realized these flowers weren’t going to sink she quickly started to change the way she was playing. 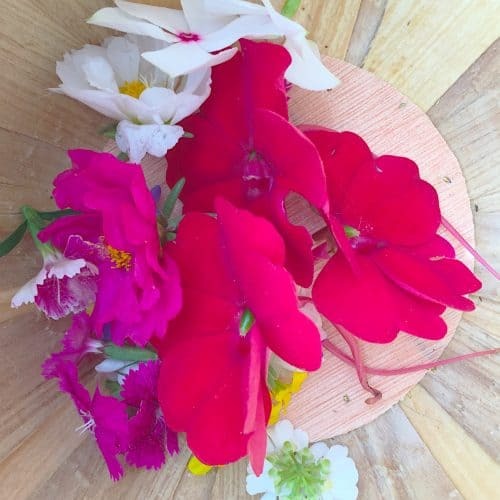 First, she attempted with hand created waves to get all of the flowers to stay on one side…even though they would just flow right back towards her. Then the wind would blow them a little, so she also blew them around a bit on top of the water herself. She thought this was pretty neat. We sat across from each other and blew them back and forth for awhile. 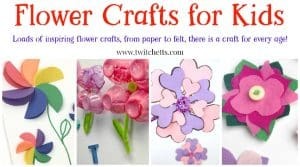 If your toddler needs help with this you could even introduce straws to help blow the flowers around! 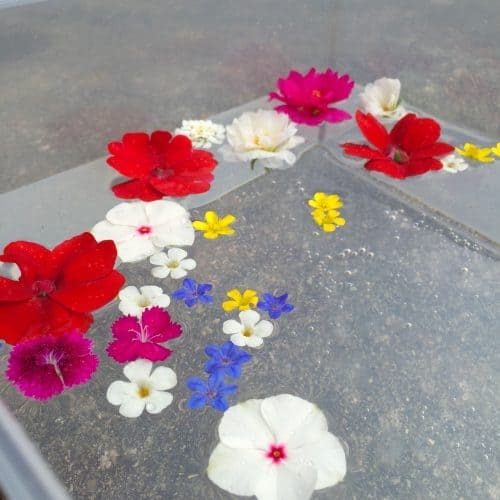 I made sure to point out the flowers that had more pedals off of the water moved faster than the ones with all of the pedals on the surface! After our wind and water activity, the wind really picked up and it actually started to rain! 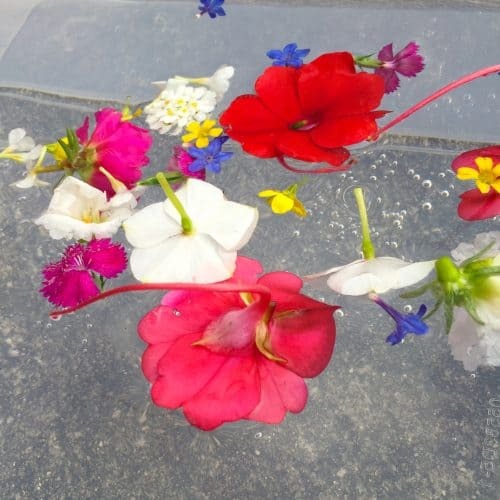 V watched her flowers through the window and they continued to float! We came back out the next morning to all of our flowers right where we left them, right on top of the water. 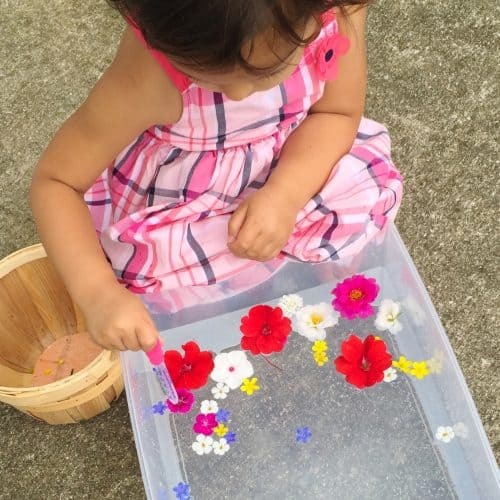 For the last way to play with our flower sensory bin, I grabbed some bowls, spoons, and a ladle and we had flower soup! She had a lot of fun trying to catch the flowers to add to our broth. She served me soup, then some for herself. We blew on each bite, because of course, it was hot, then “ate” and talked about what we were going to do that day. She refilled my soup about 100 times. 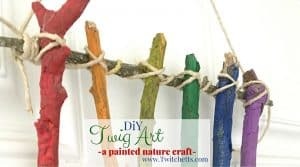 I love when a free activity leads to 2 days of fun! I really enjoyed learning from my little girl how to really explore something to its fullest. 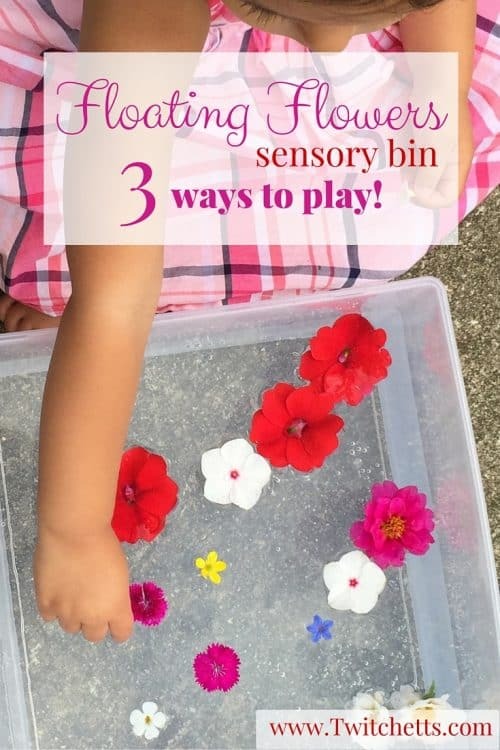 Just imagine all of the ways your little one could explore this flower sensory bin! !